The Force Awakens with a pop-up exhibit opening December 5, 2015 at the Much Music Digital Studio in Toronto. It's free and the 277 Queen Street West location is open from 11 am to 7 pm. 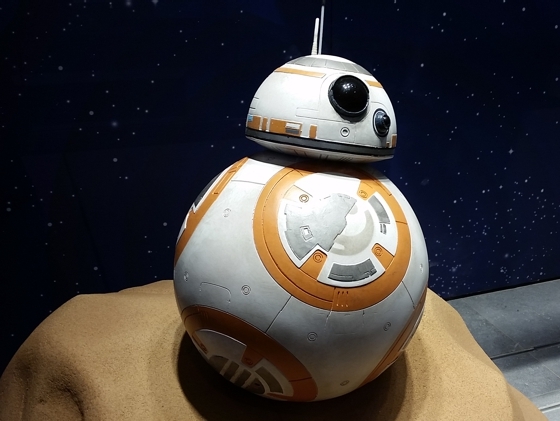 Replicas of Rey, Kylo Ren, Captain Phasma, BB-8 and a Stormtrooper are on view until December 21. 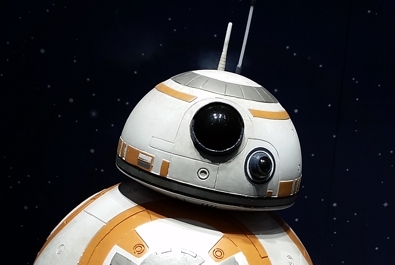 The cute, round astromech droid BB-8 rolls along into your heart, he is so cute. This droid was in the Bell shop in the Toronto Eaton Centre. The new Star Wars: The Force Awakens premiers on the 18th of December. Are the Toronto Islands even open in the winter?